The Athletic’s Pierre LeBrun writes that New Jersey Devils center Marcus Johansson could prove to be one of the best bargains at the trade deadline. LeBrun notes that Johansson’s stock has dropped due to his recent injury history, but has been back on the rise due to his recent production. Johansson has seven points in his past six games and buyers have taken notice. LeBrun reports that Johansson’s five-team no-trade list should not hinder a deal and Devils GM Ray Shero will pull the trigger, sooner rather than later, if he gets a fair offer. However, LeBrun believes there is a chance Shero will keep Johansson and try to re-sign him if he receives only low-ball offers. Sportsnet’s Elliott Friedman echoes that Johansson is for sale, but that Shero will be aggressive in the sale as he was with Brian Boyle. Friedman names the Columbus Blue Jackets, Edmonton Oilers, San Jose Sharks, and Vancouver Canucks as teams that have already checked in on Johansson, but that will hardly be the extent of the interest by the time the deadline rolls around. Friedman believes that the Canucks, who seem like an outlier among the buyers interested in Johansson, are looking to replace the production of the injured Sven Baertschi as they try to keep pace in the Western Conference playoff race. Although few expect Vancouver to be major buyers, they are still just one point out of the final wild card spot and could make some minor tweaks to stay involved. Friedman adds that Washington Capitals forward Andre Burakovsky is another forward that the Canucks have looked into. Burakovsky makes for an interesting fit in Vancouver, as the Capitals seek a replacement forward in return and the Canucks have their own talented, but underwhelming young forward on the block in Nikolay Goldobin. A deal centered around the duo seems like a possibility. As for the Sharks, Friedman believes that they intend to add forward depth before the deadline. While Johansson seems to be of interest, Friedman notes that a very different style of player could also be in their sights. 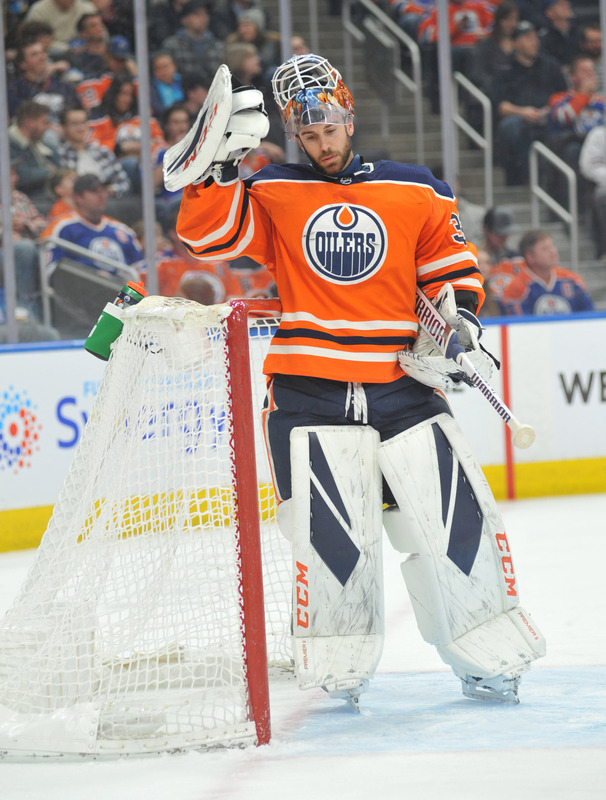 He believes that a reunion with Eric Fehr, currently with the Minnesota Wild, could be in store. 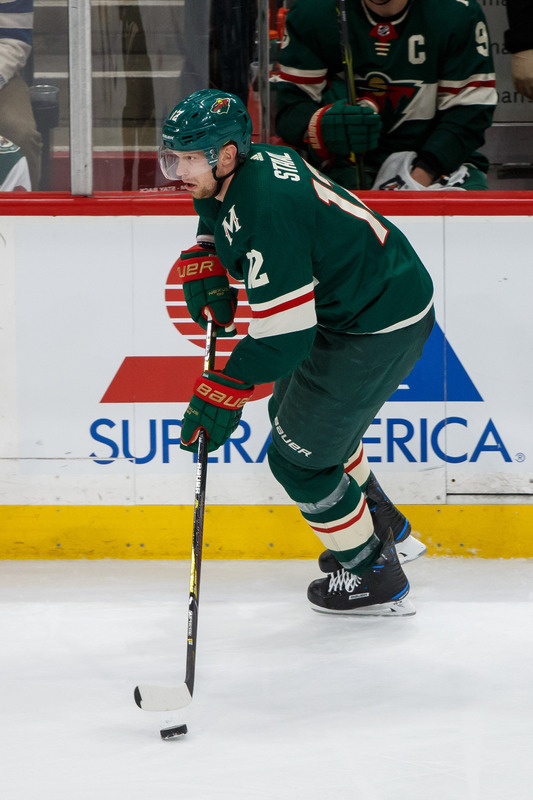 The Wild appear to be sellers now and Fehr, who fit in well as a deadline addition for the team last year, is a logical target for both the team’s cap situation and need to strengthen their defensive play up front. Meanwhile, The Athletic’s Kevin Kurz feels that San Jose needs to target a goaltender before the deadline. The Sharks have received poor results from Martin Jones and Aaron Dell this season – the team has the worst even strength save percentage in the league – and last nights’s game, in which Jones allowed six goals on 20 shots against the Boston Bruins could be the last straw. 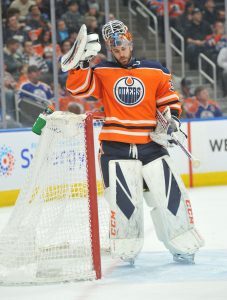 While Kurz comes to the conclusion that an addition in net is unlikely, he hopes the team considers all of their options. Appearing on TSN 1050 in Toronto yesterday, Bob McKenzie stated that New York Rangers defenseman Adam McQuaid is very likely to be moved before the deadline. The impending UFA defender was acquired from the Boston Bruins this off-season for a fourth-round and seventh-round pick, as well as fellow blue liner Steven Kampfer, and McKenzie feels that the Rangers will move him for any package wherein they can recoup those picks or better. Friedman says similar, writing that there has been “traction” on McQuaid move. The Toronto Maple Leafs have been frequently linked to McQuaid, but the tough, stay-at-home righty should have a significant market. I’ve lived here for most of my adult life. I started a family here and the city feels like home. But the organization has been good to me, too. I’ve been treated well and given chances to improve and play a lot. My best scenario is to get that chance (to win again) here. We have some work to do and there’s a lot of learning and a lot of teaching. But for sure, we have young, talented players who are going to keep developing. It’s no fun to lose like we did last year, but it’s exciting to go through a change like this and be part of it until we get good again. Edler has 19 points in 30 games with the Canucks this season while playing over 23 minutes a night which would make him an enticing candidate to contenders. However, there’s no guarantee that Vancouver can convince him to waive his no-trade clause before next month’s trade deadline. 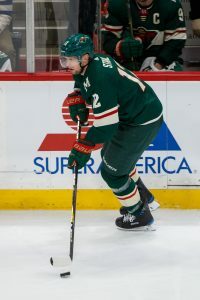 Wild center Eric Fehr will miss one-to-two weeks with what head coach Bruce Boudreau is calling a ‘body injury’, notes Sarah McLellan of the Minneapolis Star-Tribune. He was injured early on Monday night following a late hit from Montreal’s Kenny Agostino. Minnesota has been carrying 14 forwards on their roster so it’s unlikely that they’ll call anyone up to replace Fehr, who has 10 points in 41 games so far this season. The Coyotes gave some consideration to claiming Blues defensemen Jordan Schmaltz off waivers earlier this week, reports Jeff Gordon of the St. Louis Post-Dispatch. He also happens to be Nick Schmaltz’s brother, who Arizona acquired earlier this year. However, with seven blueliners already on their roster, they decided to pass. As Schmaltz is now in the minors and on a cheap contract ($700K through next season), he could still be of interest to a team that wants extra injury insurance in the AHL, something that wouldn’t have been an option had a team claimed him off the wire. As the Montreal Canadiens prepare to take on the Detroit Red Wings tonight, they are fortunate to do so with forward Kenny Agostino in the lineup. Agostino, who has carved out a nice role for himself with the Habs this season, received a match penalty game misconduct in the first period of the team’s match-up with Minnesota last night for a late hit on the Wild’s Eric Fehr. Yet, missing most of the game and leaving his team shorthanded appears to have been a fitting punishment for Agostino in the league’s eyes. Sportsnet’s Eric Engels reports that no further discipline will come from the Department of Player Safety and instead Agostino will take the ice this evening. The incident in question occurred early in the first period of last night’s game in Montreal. Agostino hit Fehr with a late check along the boards, despite having enough time to slow up after Fehr had passed the puck away. Fehr fell against the boards in front of his own bench and hit his face on the way down (video). The veteran forward left the game and did not return. Wild head coach Bruce Boudreau told the media today that Fehr is out tonight against the Boston Bruins but due to soreness and not any long-term injury. Both Fehr and Agostino logged just 25 seconds of ice time apiece in the game due to their early collision. In addition to a game misconduct, Agostino earned a major penalty for interference, a penalty that was partially reduced by Minnesota defenseman Nick Seeler who came to the defense of his teammate and fought Agostino, but at the cost of an instigator penalty. Not long after Agostino’s exit, the Canadiens also lost Shea Weber, who was took a puck up high and left the game. Down two skaters for much of the game, Montreal somehow still held the Wild to one goal albeit in a 1-0 defeat. In his defense, Agostino has no suspension history or past dealings with the Department of Player Safety. While his check on Fehr was certainly late, it was not a heavy or high hit with an intent to injure, but the unfortunate way that Fehr landed caused most of the damage. Although the league could have thrown the book at him for a late, careless hit that caused an injury, the decision not to further discipline Agostino with a fine or suspension seems fair. Throughout most of his pro career, an absence by Agostino would not have mattered much to his teams. The former AHL standout struggled to earn play time in stops with the Calgary Flames, St. Louis Blues, and Boston Bruins, but has already set a career high in games played (28) and points (11) in Montreal. Agostino is still playing a limited bottom-six role, but improved physicality and extraordinary possession numbers have helped him lock up a spot in the Habs’ lineup. On a $700K two-way contract this season, the winger is a bargain for the Canadiens. However, the 26-year-old is surely looking forward to being a free agent again this summer following his current breakout campaign.